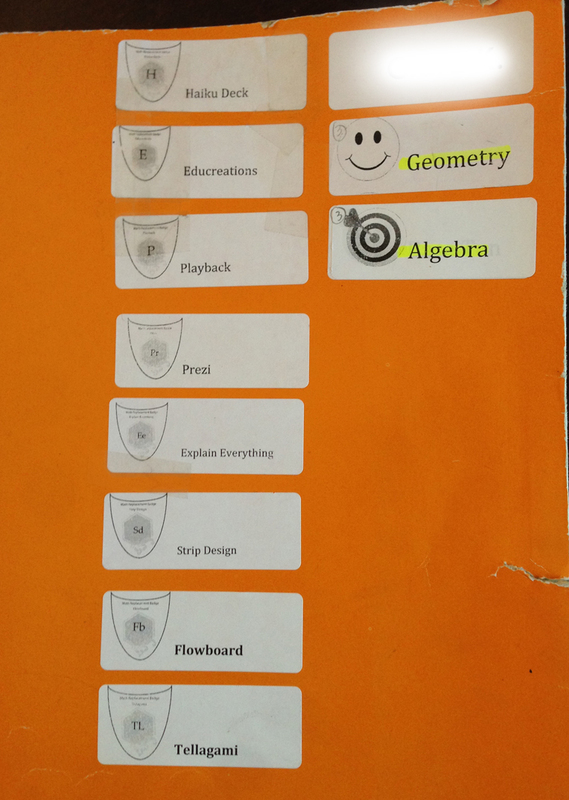 During the last #msmathchat the topic of digital badges was brought to the forefront. The idea of badges in the classroom has always interested me. I was first exposed to the idea of using badges in the classroom by @mrmatera last summer at a Downer’s Grove PD event. Michael used a form of a digital badge/achievement token while integrating gamification in his own classroom. His idea spurred on a brainstorming session with another colleague which resulted in the creation of badges for my own classroom. Looking back, this past year was the first year I decided to use a form of badges within my classroom. Back in September I decided to research a few different options for using badges. After much review I decided to use the badge philosophy without a digital component. Even though there are many digital badge sites, I wanted to start small and simple and using paper badges seemed like the right move. I decided to create a simple badge template. The one below is for the app Prezi. The badges were going to be used to show milestones or proficient use of certain skills. One larger theme in my classroom revolved around the idea of student content creation. My students were using a variety of apps to showcase their learning through digital means. Since students were using content creation apps, the badges would show proficient use of specific apps. 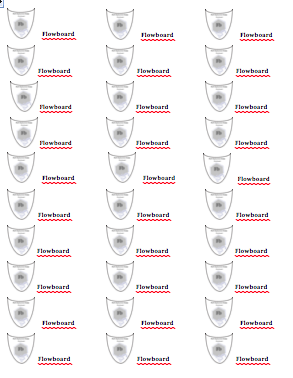 I found some blank Avery mailing labels around the house and created a simple badge template and then imported it into Word. The title of the class was on the top and the name of the app was on this inside of the logo. Students received a badge when they successfully created a math product with a particular app. Students decided to put the labels/badges on their personal folders. Individual student folders started to fill up with badges as the year progressed. Not only were the students proud of their accomplishments in creating mathematical content, but they were able to reflect back on all their badges and growth since the beginning of the school year. It was encouraging to hear how excited the students were to receive a badge once they finished their project successfully. Even more powerful was the reflection component that the students recognized as they wrote their final reflections at the end of the school year. I’m still brainstorming how this idea could transfer to mathematical concepts without turning this into student competition. Regardless, I’m looking at using a form of a digital badge next year, but using labels is my first step in that journey. How do you use badges in the classroom? Great idea! I’m going to try this next year. I actually like that they are stickers for their binder/folder. Thanks! Thanks Cathy! It worked well with my students. I’m looking to see how I can expand the idea next school year.